Cloud Portal Office is a comprehensive document storage and sharing service that provides a convenient way for you to seamlessly connect to your business content and easily share and collaborate with team members, whether remotely or during in-person conferences. 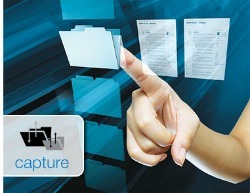 You can also capture, index and archive both paper and electronic documents in a single repository. Most importantly, IT administrators can manage and control user access in order to safeguard company data. Access your documents “On-the-Go”, whether at home, on the train or in a hotel room; stay connected, and continue to work as needed. 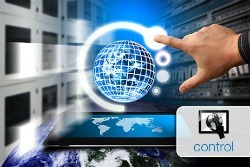 Simply said Cloud Portal Office helps maximize the productivity of an increasingly mobile workforce. You can quickly share with individuals or groups for collaborating on projects. This is especially useful when input from multiple people is needed in order to complete a project. Cloud Portal Office makes it easy to work together on a common goal. 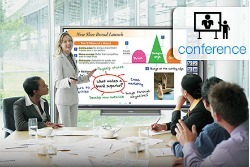 Be a star in the conference room; easily accessing meeting materials. Thanks to the AQUOS BOARD™ Interactive Digital Displays, you no longer have to bring your computer to present your materials; simply sign-in and have access to your folders. And when you’re done, your content doesn’t stay behind. What’s more, others can easily share files for viewing with the exclusive “guest” feature. Scan and index documents directly into your document management systems. This creates a single repository for both your hardcopy and electronic files for easy retrieval from virtually any device including mobile platforms. For added convenience you can even print PDFs and image files directly from the MFP. With Cloud Portal Office you have granular control of your content with enhanced folder sharing; you can set permissions by user or group and share as much or as little as you like. Designed for business, IT Administrators control access, manage users, reset passwords and more. TLC Office Systems is proud to offer Sharp Copiers and MFPs and the SHARP Cloud Portal. Give us a call today for your SHARP MFP needs.